You can now add attach images to specific fields in a form. I can click the cog on the field to open up the Settings for the field, and turn on "Can attach image(s)", specifying the maximum allowed images. By clicking on the image, you can choose a photo to add to the field. 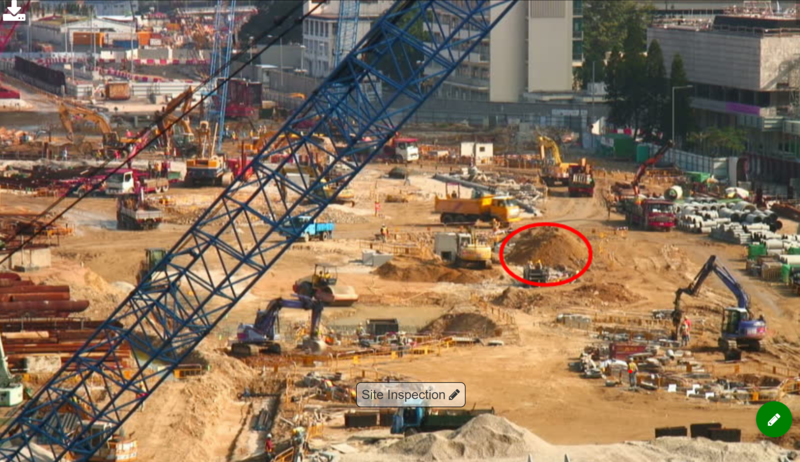 A thumbnail of the photo will appear below the field. Clicking on the photo opens up the viewer, where you can annotate it and add a caption. 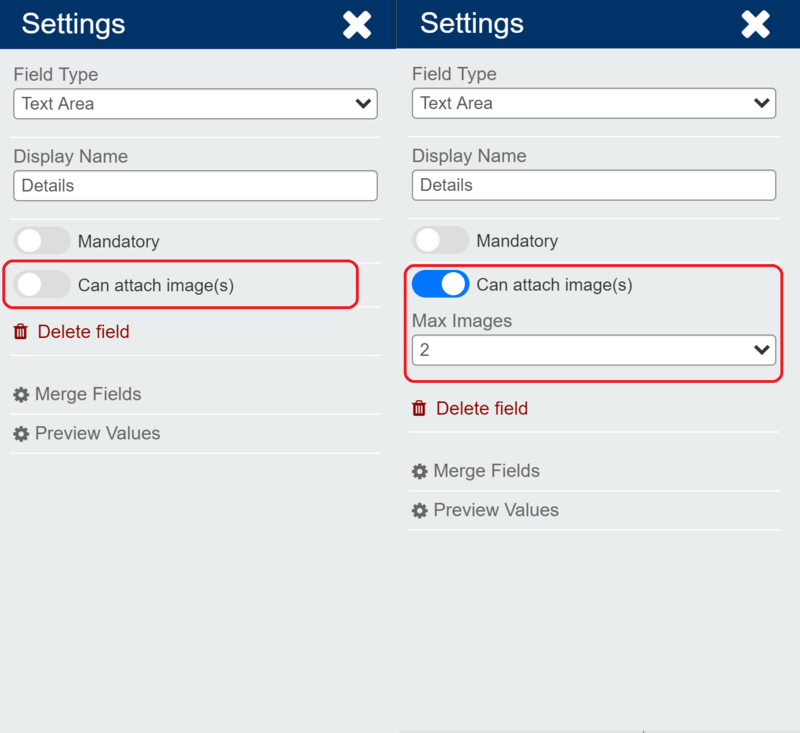 There are two merge fields for each inline photo: an image merge field and a caption merge field. To display those in the output PDF, you'll need to insert them into the template DOCX. We recommend doing that using the APE Word Add-in. That can also be used to control the size of the images, see in the Add-in article's section "Image and Signature Fields".